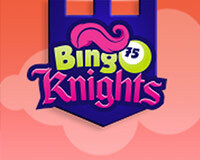 $50 no deposit (25x playthrough, only allowed games) code: 50FREE + 400% signup bonus! Deposit Methods: Bank Wire Transfer, CLICK2PAY, NETELLER, American Express, EcoCard, Eurocard, eWalletXpress, JCB, MasterCard, Skrill, MyPaylinQ, Visa, FedEx. Wild Vegas Casino offers over 100 exciting and fast play casino games, and provides a brief introduction on all the games available. 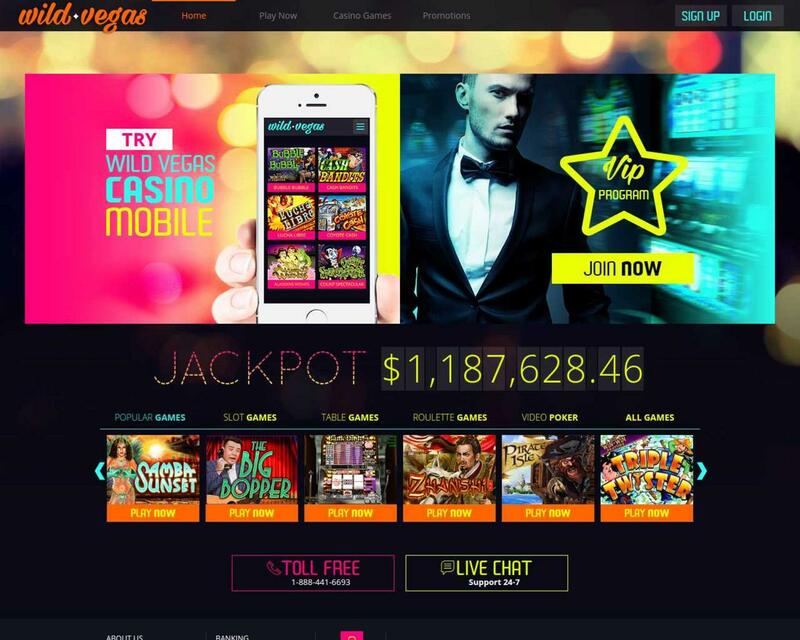 If you have any question Wild Vegas Casino support team stands ready and willing to help you with any issue you may have, from downloading to deposits and cashing out your winnings. Wild Vegas Casino does not accept players from the following countries: Algeria, Angola, Benin, Botswana, Burkina Faso, Burundi, Cameroon, Cape Verde, Central African Republic, Chad, Comoros, Congo, Democratic Republic of the Congo, Djibouti, Egypt, Equatorial Guinea, Eritrea, Ethiopia, Gabon, Gambia, Ghana, Guinea, Guinea-Bissau, Ivory Coast, Kenya, Lesotho, Liberia, Libya, Madagascar, Malawi, Mali, Mauritania, Mauritius, Morocco, Mozambique, Namibia, Niger, Nigeria, Rwanda, Sao Tome and Principe, Senegal, Seychelles, Sierra Leone, Somalia, South Sudan, Sudan, Swaziland, Tanzania, Togo, Tunisia, Uganda, Western Sahara, Zambia, Zimbabwe, Afghanistan, Armenia, Azerbaijan, Bahrain, Bangladesh, Bhutan, Brunei Darussalam, Cambodia, China, Hong Kong, India, Indonesia, Iran, Iraq, Israel, Jordan, Kazakhstan, Kuwait, Kyrgyzstan, Laos, Lebanon, Macao, Malaysia, Maldives, Mongolia, Myanmar, North Korea, Oman, Pakistan, Palestine, Philippines, Qatar, Saudi Arabia, Singapore, Sri Lanka, Syria, Taiwan, Tajikistan, Thailand, Timor-Leste, Turkey, Turkmenistan, United Arab Emirates, Uzbekistan, Vietnam, Yemen, Antigua and Barbuda, British Virgin Islands, Cuba, Curacao, Dominica, Dominican Republic, Grenada, Guadeloupe, Haiti, Jamaica, Saint Kitts and Nevis, Saint Lucia, Saint Martin, Saint Vincent and the Grenadines, Trinidad and Tobago, Turks and Caicos Islands U.S. Virgin Islands, Belize, Bolivia, Brazil, Colombia, Costa Rica, Ecuador, El Salvador, Falkland Islands, French Guiana, Guatemala, Guyana, Honduras, Nicaragua, Panama, Paraguay, Peru, Suriname, Albania, Belarus, Bosnia and Herzegovina, Bulgaria, Croatia, Cyprus, Czech Republic, Denmark, France, Georgia, Gibraltar, Hungary, Ireland, Isle of Man, Italy, Jersey, Latvia, Liechtenstein, Lithuania, Macedonia, Malta, Moldova, Montenegro, Poland, Romania, Russia, Serbia, Slovakia, Slovenia, Svalbard and Jan Mayen, Ukraine, Canada, Greenland, Fiji, French Polynesia, French Southern Territories, Micronesia, Nauru, Palau, Papua New Guinea, Pitcairn, Reunion, Saint Helena, Samoa, Tonga, Tuvalu, USA Minor Outlying Islands, Vanuatu, Wallis and Futuna.